Amazon Description: This workshop, recorded live in Chicago, Illinois, focuses on how to find your life's mission, or 'Sacred Contract.' By coming to know your mission, you can live your life in a way that makes best use of your energy. Finding out where you invest your 'energetic currency' can show you how to manage your power as opposed to being managed by it. When you're working well with your energy, you're also making the best expression of it and living in accord with your Sacred Contract. Caroline Myss shows you how to discover your archetypal patterns, both symbolically and literally, and how to find the four archetypes we all share and the eight that are uniquely ours. By using these patterns, she teaches you how to use the ''Archetypal Wheel'' as an intuitive method to interpret the behind-the-scenes patterns of your life, revealing that your experiences and relationships to be spiritual dramas that are filled with opportunities for personal transformation. Amazon Synopsis: Psychic medium Concetta Bertoldi knows how it is: Heaven is perfection. Life on Earth is the tough part. It's here we need to meet challenges, learn lessons, and grow spiritually even as we cope with our sense of "aloneness" and "not enough-ness" or the loss of a loved one. Through all of this our guardian angels, those who have crossed to the Other Side—or "the dead guys," as Concetta calls them—offer us loving, behind-the-scenes assistance. In Inside the Other Side, Concetta explains the importance of the agreements we make with God before being born into a new physical life. She gives advice on dealing with life's difficult issues: from relationships to a lack of abundance, from illness and aging to coping with loss. 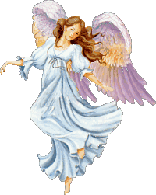 Concetta's wise, witty, and uplifting assistance will help you get more in touch with the Other Side so that you can call on your own angels whenever they are needed the most. Amazon Synopsis: Sylvia Browne takes us on another incredible journey . . . this time presenting information about the Mystical Traveler. She explains the difference between Mystical Travelers and Mission Life Entities (those who have a mission in life); and goes into great depth about who they are, what they do, and even how to become one! Combining factual research garnered in her trance mediumship with new insights from her spirit guide Francine, Sylvia guides us through the necessary steps to become more spiritual using the Eight Golden Keys and Seven Rays from God. She then takes us a step further and tells us how we can all choose to become either a Mystical Traveler or Mission Life Entity for God. This is a fascinating, in-depth study for anyone who wants to become more spiritual and join “God’s army”—that is, those who wish to spread positive energy rather than evil and negativity. Self-help material for further exploring and healing contracts in your own life. Spiritual Post-Conception Birth Control and Past Life Techniques. "Dear Linda, I love what you have written as it is so personal and easy to read and most important for everyone to understand that much of what is happening in their lives has its root in their distant past of a previous incarnation. Amazon Synopsis: In this penetrating book, renowned intuitive, speaker, and teacher Robert Ohotto guides us on an investigation of the Heroic Journey of the Soul. Exploring three modern-day manifestations of Fate, he shows how psychic energy from family patterns, cultural influences, generational legacy, and global evolution inform our self-concept every day, and how they often block our highest potential and “Fate” us to challenging circumstances and relationships. But, he reveals, these Fated encounters are actually the keys to our unlived life. Each chapter maps our psyche and unravels the mysterious connections of Fate, Free Will, and Destiny, transforming our Fate into Destiny and our limitations into gifts. Amazon Synopsis: Would you like to understand the deeper spiritual meaning of physical illness, parenting handicapped children, drug addiction, alcoholism, the death of a loved one, accidents, deafness, and blindness?